Many small businesses view getting their products into Walmart or other big box retailers such as Costco as winning retail Olympic gold. Besides dramatically increasing a business’s profits and opening doors to other lucrative retail contracts, having your products on a big box retailer’s shelves gives consumers and other retailers the message that your company’s products are winners. However, competition to become a Walmart vendor is fierce; in 2004, “about 10,000 new suppliers applied to become Walmart vendors. Of those, only about 200, or 2%, were ultimately accepted” (Gwendolyn Bounds, “The Long Road to Walmart Shelves”,The Wall Street Journal Online). So how do you get your product in Walmart, Costco or Home Depot? The first thing you have to do is ensure that your product and your company will be attractive to a big box retailer. Step one is making sure that your company is ready to do business. Walmart and other large retailers have supplier standards that must be met. Walmart vendors must carry product liability insurance, for instance, have their financial information listed with Dun & Bradstreet and have proper Universal Product Code (UPC) Identification Number(s) for all their products. They must also comply with all product and/or food safety requirements; a factory audit may be necessary. When you have all your legal ducks lined up in a row, you'll be ready to actually start the process of applying to be a Walmart supplier (outlined below) - a process that is not only time-consuming but may also be costly. So before you bother trying to get your products in Walmart, consider whether you have what Walmart and other big retailers are looking for. Big box retailers such as Walmart don’t want to bother with the untried and unproven. For one thing, there are so many businesses competing to be Walmart vendors that they don’t have to. 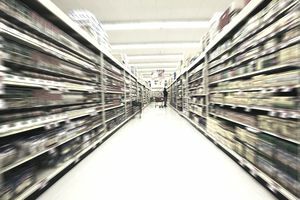 For another, “Walmart doesn't like to account for more than 30% of a supplier's total business; if it did, and suddenly had to change an order based on shifting trends, it could sink the supplier,” says Gwendolyn Bounds in “The Long Road to Walmart Shelves”). So having other retail accounts increases your chances of getting the big box retail account. And just going out and getting a bunch of accounts won't help either; Walmart wants their vendors to have a verifiable history. That's the kind of product that big box buyers are looking for. Remember, in so many product categories there’s so much duplication that there’s absolutely no incentive for a big box buyer to commit to carrying another one. The ideal product is something well differentiated from the other products in its category – that will still fit with the retailer’s current product lines. Even if you can get the buyer interested in your product, having only one product to offer can be a deal killer. Setting up a new supplier takes time and effort – so the potential supplier who can offer a complete line rather than a single product will always have the edge. “You've got to have production patterns to get the product out the door to meet ship dates," says Steve Wurzel, a Franklin, Tennessee, consultant whose company, Marketforce Inc., specializes in helping businesses sell products to mass retailers (Karen Axelton, “Scaling the Wal – Doing Business with Wal-Mart Stores Inc.”, Entrepreneur). And although it can take six months to a year on average for a supplier to get a first purchase order, when that first order comes in, you’re expected to move fast. The retailer may even want a 24 hour turnaround. If you want to be a Costco, Home Depot or Walmart vendor, you’ve got to win over the buyer and show that you can overcome obstacles. Whether it's upgrading your packaging or changing your pricing you have to show that you’re willing to work with the retailer. In fact, most Walmart suppliers have employees on the ground in Arkansas, making sure that they can serve Walmart fully (Carol Tice, "An Inside Look At Being a Wal-Mart Supplier", Entrepreneur). When your company and your products are ready, it's time to apply and try to win a meeting with a Walmart buyer. The Local Purchase Program, explains Walmart's website, "provides an avenue for small, domestic suppliers to sell their locally made, shelf-ready products at Walmart stores within their local area". Potential local suppliers, unlike potential suppliers of national products, get to directly approach their local Walmart store manager and pitch their product. (Note that some products, such as jewelry and apparel, are not included in the Local Purchase program and must follow the National products process.) Make sure you check Walmart’s Minimum Vendor Requirements before you plan your presentation – you’ll only get one shot at it. Walmart's Supplier Checklist will also be useful. You will still, just as a National Product supplier would, have to complete the the Online Product Submission form, filling in the Regional General Manager’s name and store numbers which the local store manager has provided you with. Then it’s just a matter of waiting for a decision. If the answer is “yes” you’ll be invited to complete a Supplier Questionnaire, followed by a Supplier Agreement. Visit HomeDepotLink to learn about the necessary insurance requirements and product submission details. Costco supplies only a list of addresses for vendor inquiries, stating that "prospective vendors of non-food or sundry items can contact the corporate office..." while "prospective vendors of food and sundry items can contact the appropriate division office". Becoming a Walmart vendor or vendor for some other big box retailer certainly isn’t an appropriate goal for every product-based small business – nor is it the only route to retail success. But if your products and company are a good fit with big box retail, becoming a big box supplier can be extremely rewarding.